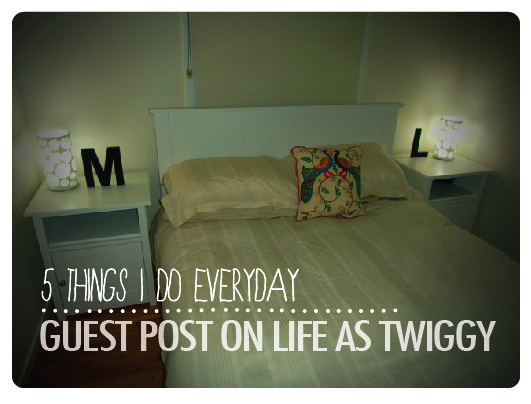 I'm over at Life As Twiggy today sharing 5 things I do everyday. Come over & say hello! Also, I LOVE your illustrations on the tab up top of your page. I wanted to comment on it but couldn't. The girl is SO pretty! LOVED this post.. I'm suprised I didn't comment when I first read it?! Anyhow I was just stopping by to let you know I nominated you for the Versatile Blogger Award!